If you ever watched Gilmore Girls and consider yourself a true fan, then you would recognize the title of this post. If not...well I don't know. Go watch more Gilmore Girls. It will make your life better. Its the eve of the craft fair and what am I doing? Knitting of course! I stopped making the headbands earlier this week, and moved on to a new project. (Although I will probably be knitting headbands from now until Christmas!) 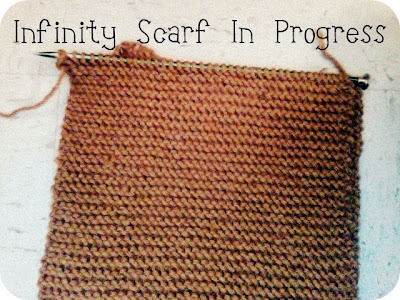 I'm going to make an infinity scarf. You know, those fabulous circular scarves that everyone is obsessed with right now. Yeah well, I'm knitting one! 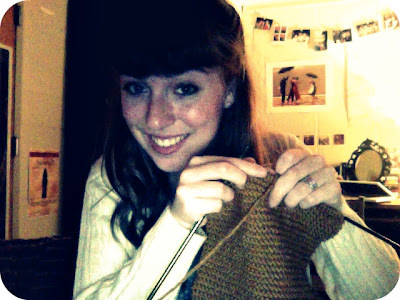 All of my friends wanted me to teach them how to knit, so I did. 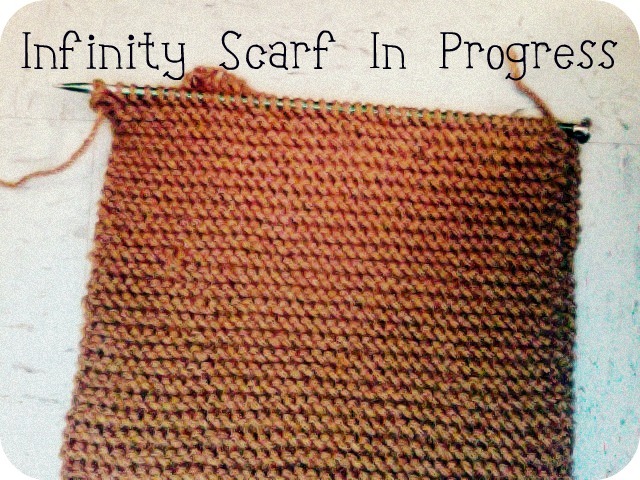 But instead of making a crappy first scarf, they all wanted to make infinity scarves. I realized that I had never made one before, so I decided to try my hand at it! Its no where near being done, but its getting there. No worries, I will for sure keep the blog updated on the progress. 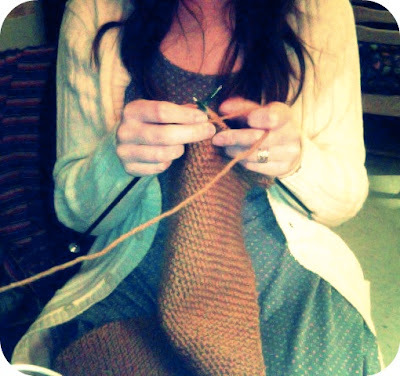 Now, off I go to...you guessed it, knit some more! Happy Crafting!